Often historians will examine a battle or campaign and use “irrecoverable losses” as the measure of effectiveness when evaluating the performance of each side. A person dead, captured, or permanently disabled can no longer fight. A tank lost to the enemy or burnt out on the battlefield cannot be recovered and is likewise lost. As such, this statistic is easily defined and measurable. However, just examining “irrecoverable losses” does not provide the whole story of combat effectiveness of a unit. “Irrecoverable Losses” as a tool of measurement favours the attacker, who is often in control of the battlefield, and doesn’t accurately reflect the attrition of the unit due to repairable combat losses and the resulting decrease in Operational Readiness. To more accurately reflect the combat ability of a unit or formation the actual operational readiness of the unit should be measured and tracked and from this information losses incurred by transport or combat can be tracked. This measure will provide greater fidelity to historians in understanding why decisions were made by commanders. There are many different factors that could affect a unit or formations status on any given day which would change the losses incurred even if the activity was the same. Conducting the same activity but in different months would have differing effects. A unit operating in severe weather degrades quicker due to higher consumption of resources and higher levels of mechanical failure then one operating in fine weather. Every action conducted by the formation would result in changes to this value. A day of travel would result in losses to equipment, through driver fatigue or equipment wear amongst other reasons. The majority of these losses would be easy to fix, but some would be, or could be irrecoverable. A day of combat would result in typically a higher loss of operational readiness as tanks are destroyed or knocked out. The intensity of the fighting, the mission, and the opposition would determine the number of losses suffered. Conversely, a day of rest would typically produce time for the unit to recover, conduct repairs and maintenance thereby increasing its strength. The amount of strength recovered would demonstrate the resiliency and recovery capabilities of the unit. Each nation during World War 2 conducted and defined repair and recovery differently. The Germans classified damaged vehicles as either Short Term (under a month to repair), Long Term repair (greater than a month), or requiring factory overhaul. Furthermore a vehicle could move from one category to another making it difficult to track the extent of damage due to combat. The Soviet Union classified damaged vehicles as requiring minor repairs, light overhaul, or a major overhaul. Regardless of the level of damage, a vehicle requiring repair is out of combat. Its time out of combat is dependent upon not only the repair capabilities of the unit, but the parts that the unit holds. If the repair parts are unavailable, a repair may only take an hour cannot be conducted and the vehicle remains out of combat. While a talented repair team may be able to make do with sub-standard, or non-regulation parts they cannot completely make up for a lack of regulation components. In Tomb of the Panzerwaffe by Aleksei Isaev and Maksim Kolomiets conclusion is that the 3rd Ukrainian Front, in 10 days of combat, claimed 324 German tanks & SPs, and 120 Half Tracks burned on the battlefield and a similar number knocked out. The German Panzer Army stated that their “irrecoverable losses” were 42 tanks and 1 half track with 396 tanks in repair for short and long term and 228 half tracks in repair. Regardless of how irrecoverable losses are measured, Russian photographs from the battlefield in mid March clearly picture 279 individual German tanks and SP guns with unique soviet trophy numbering. In my mind, and looking at the pictures it is clear that the Germans lost, irrecoverably, at least 279 tanks and SP guns but the more telling is the fact that the German Panzer Army was not positioned to stop the Soviet offensive to Vienna. 1st Line – In unit repair capabilities. 4th Line – Return to Canada for repair. While the number of LAVs Canada had destroyed in Afghanistan is reported to be 13, and less than 34 vehicles of all types destroyed, there were 359 vehicles damaged including 159 LAVs. The result of the damaged LAV’s is that the Canadian Army deployed to Afghanistan had to regularly rotate the LAVs from Canada to Afghanistan to ensure that the required number of operational LAVs (including operational spares) were present at any given point in time. The effect was that the Canadian LAV fleet was completely engaged over the course of the conflict in Afghanistan. Post Afghanistan, Canada is upgrading and overhauling our LAV fleet. Using “Irrecoverable Losses”, the Canadian losses in LAV would be minimal, however the real impact from our 7 years of LAV use in Afghanistan is that Canada needed to replace and repair their whole fleet. Loss in readiness is the superior measuring tool when analysing the impact of combat decisions made during World War 2. It is the tool used by the commanders on the ground to identify their strengths and weaknesses when they made the decisions they did. While these numbers do change over time that change this change is indicative of the regenerative powers of the unit. As I examine the actions of Army Group South in 1941 and the Soviet Forces countering them, I will endeavour to use Operational Readiness as my measuring tool to determine the impact of the various actions undertaken by both forces. Was it easier for the Soviet Union and Allies to replace then repair? To what extent did the German lack of steel necessitate repairs on vehicles which would otherwise be written off? Finally even if the tanks could be recovered from the battlefield what was the repair capability and doctrine of the various forces during World War 2? 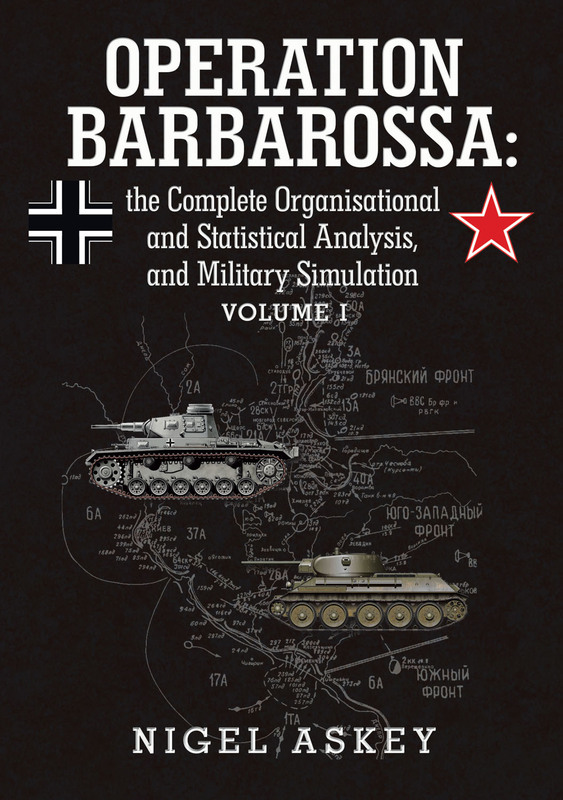 I had the pleasure of having some email correspondence with Nigel Askey, the author of http://www.operationbarbarossa.net/, and several works on the readiness and operations that occurred in the Eastern Front in 1941. We had an interesting discussion on operational readiness, vice irrecoverable losses. Personally, I have had difficulties in understanding the German “irrecoverable” tank losses, and indeed their “irrecoverable” losses when compared to the change in their actions often do not appear to make sense. I asked myself if each nation defined all tank losses equivalently? Did the Germans and Allies have the same definition of “Beyond Economic Repair” and “irrecoverable” or were the Germans more willing to repair their tanks as the cost of shipping and repair was less then building a new tank? Were the allies more willing to simply replace a broken tank as it was cheaper then repairing? In all of Nigel’s articles, he only ever uses ‘irrecoverable tank of AFV losses’. In this sense irrecoverable can be defined as ‘the vehicle is permanently destroyed or written off, or is captured by enemy forces’. When developing ROCP (Relative Overall Combat Proficiency) calculations he treats both sides both sides are treated the same (i.e. measuring irrecoverable losses only). Nigel defines the term ‘loss in readiness’ as something that could be corrected by internal supply and repair which contrast with irrecoverable losses which could not. A clear example of an irrecoverable loss. For example, if a unit with 100 tanks moves 100 miles from point A to B had 10 tanks break down so in simplistic terms the unit has only 90% of its tanks ‘operational’. This is without coming close to any enemy forces at all. The unit has not ‘lost’ 10 tanks at that point in time but lost 10% of its ‘operational readiness’. Depending on the ‘operational ROCP’ level of the unit (i.e. its trained support infrastructure) and the level of supplies and spares available, the unit will recover its readiness. A high ROCP unit will fully recover in a day, but a lower ROCP unit will recover much slower. No matter what a combat unit does, as soon it moves or attacks it will suffer significant operational readiness loss (and fatigue, which is a whole separate issue). Therefore, in his view, in the early tank battles in Barbarossa, and indeed, up until Kursk when the Germans typically remained in control of the battlefield their tank losses were insignificant by there measure, but the operational effectiveness of their divisions greatly decreased. Nowhere is this more apparent then the initial weeks of Barbarossa. The German Panzer Divisions began at full strength, but by August, 5 short weeks latter, most Army Group Centre German Panzer Divisions tank elements were near, or below 50% due to a combination of combat and mechanical losses. He postulates, that any individual unit report on its % operational readiness is almost useless in establishing any sort of ‘actual irrecoverable loss’. A unit continually defending against overwhelming forces had no choice but to remain even if its ‘operational readiness’ has drooped to almost zero. This would not necessarily mean the division has taken particularly heavy ‘irrecoverable losses’. This can only be determined by divisional strength reports, and replacement sent or/and received reports, to HQs at a later date. In Nigel’s view, we should forget unit operational readiness loss percentages if you want to talk about irrecoverable losses. Especially if this is the only data available. You have to go beyond individual unit reports and short time frames to get the real numbers for battles and campaigns from higher level command reports (eg corps or higher, or totals over a campaign) over longer periods. I would like to express my thanks to Nigel Askey for his insights and sharing his opinion. While I may not completely agree with his view to only consider irrecoverable losses I believe that this discussion has provided me with a new perspective to consider and shown the knowledge and extent of consideration he has given to this issue.